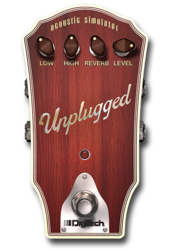 Unplugged transforms your electric guitar into an amazing dreadnaught acoustic without the need for any special pickups. 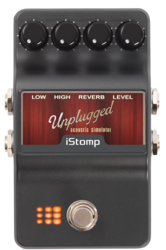 Forget having to lug an extra guitar to your next gig that you may only use for a single song or song intro, with Unplugged you can use your favorite electric and seamlessly switch to an acoustic sound with the tap of a switch. 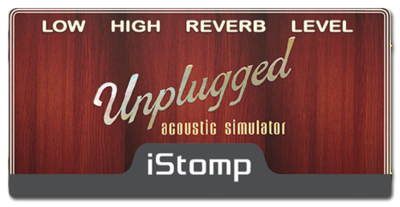 Unplugged also features lush Lexicon Hall Reverb to provide just the right amount of ambience and enhance your acoustic performance even more. 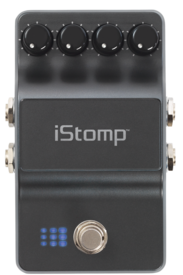 LOW - Adjusts the boost/cut of low frequencies. HIGH - Adjusts the boost/cut of high frequencies. 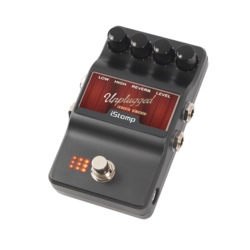 REVERB - Controls the amount of reverb mixed in the output.